Villa Maria is a wonderful recently restored and meticulously maintained country villa. 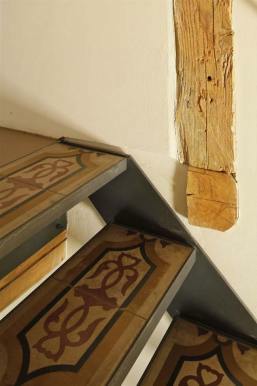 The house was built in 1892, in brickstone which was typically for this area. 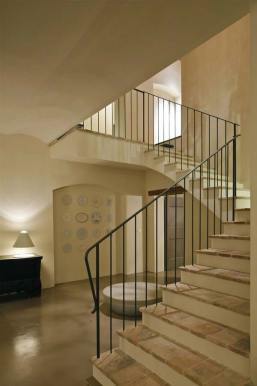 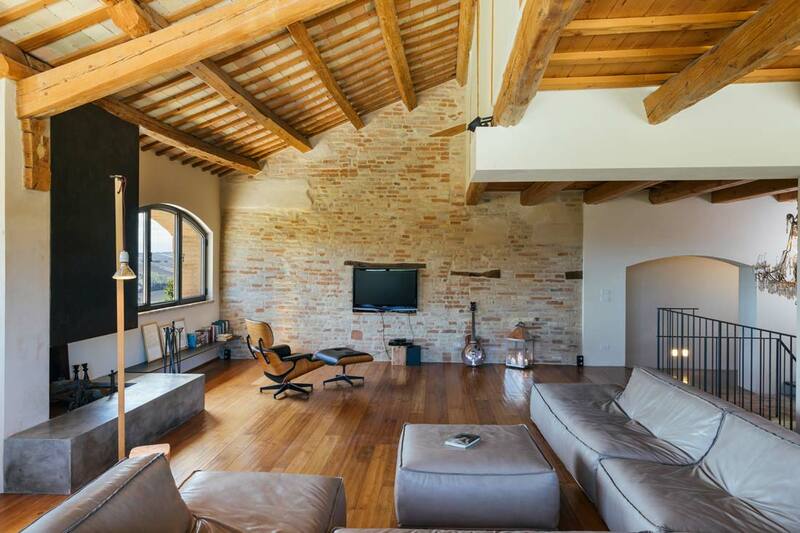 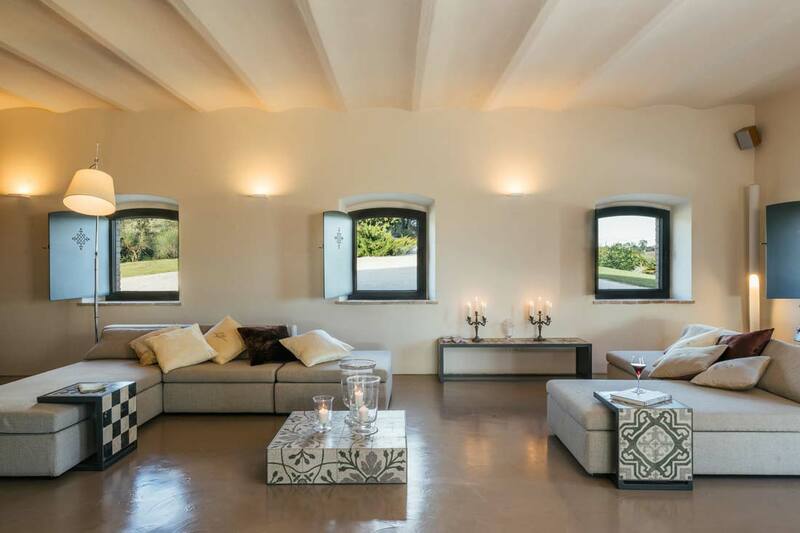 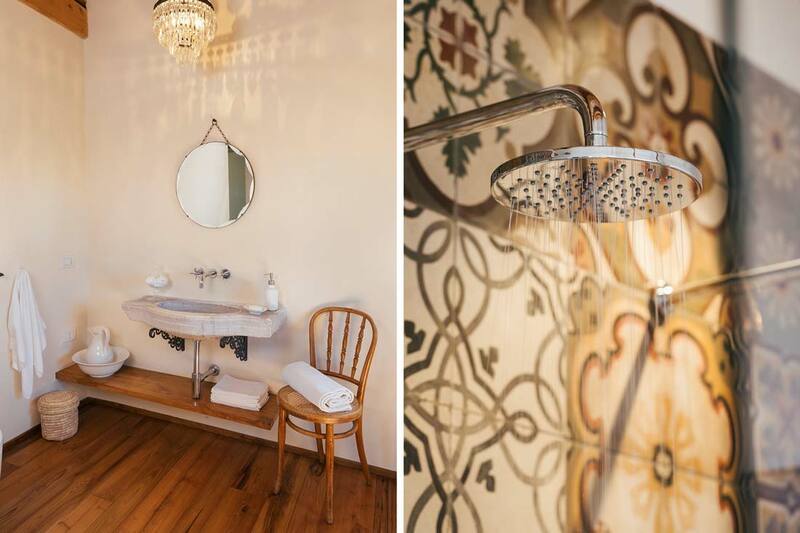 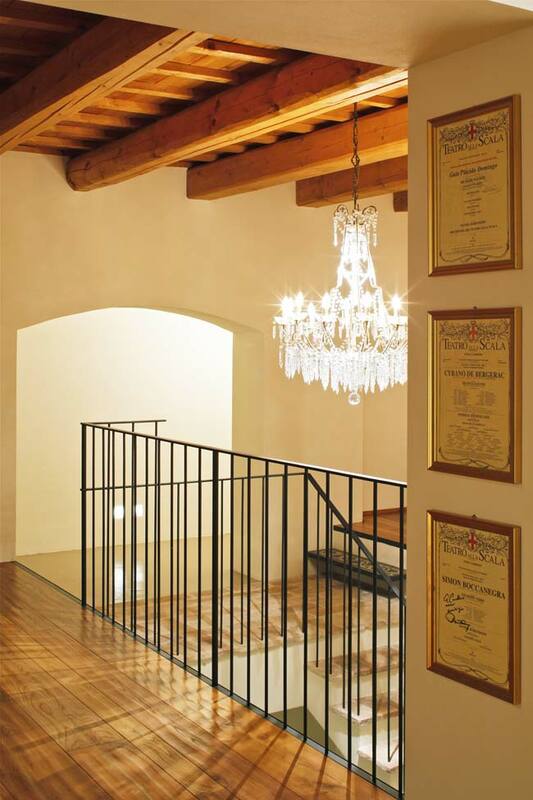 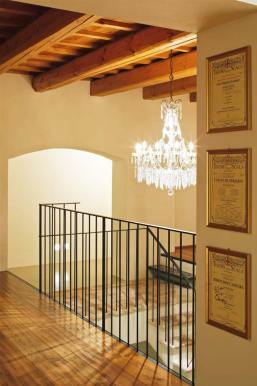 Recently the house has been restored by the owners of which the husband is a renown architect from Milan. 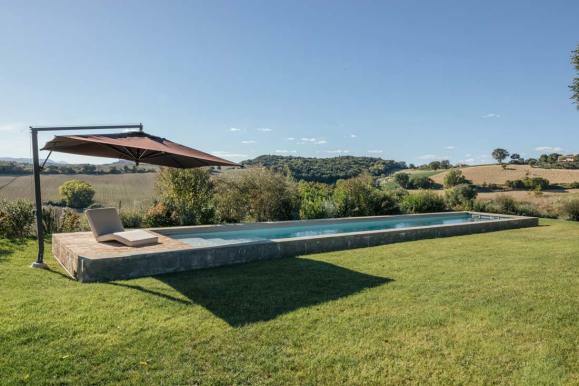 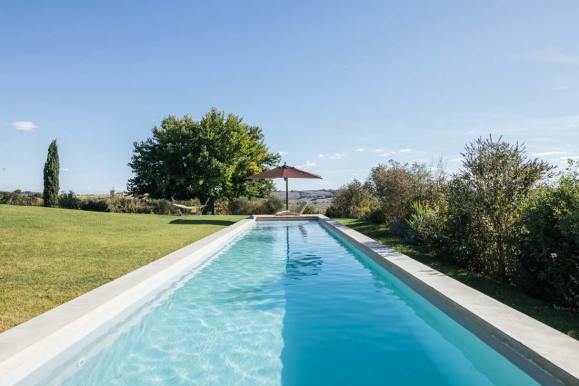 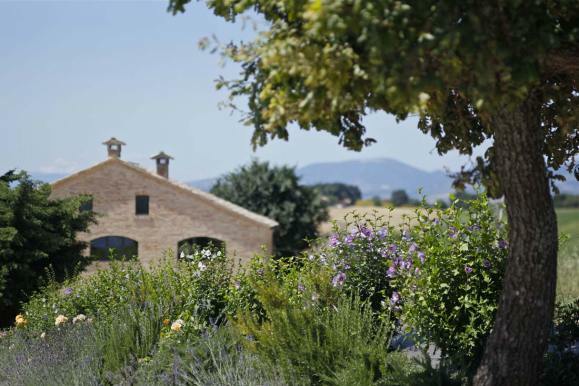 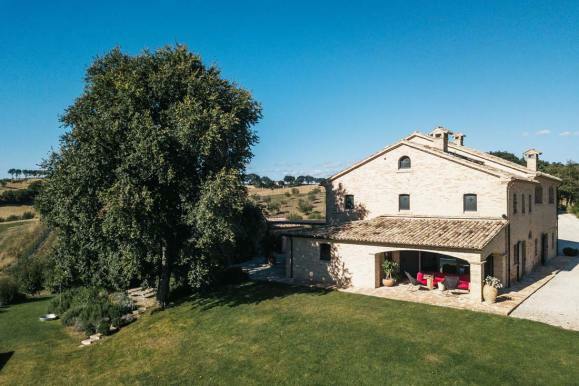 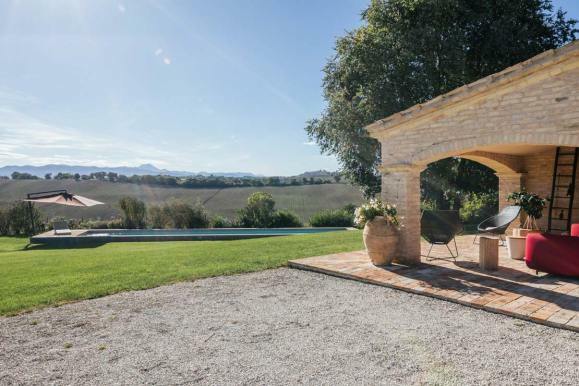 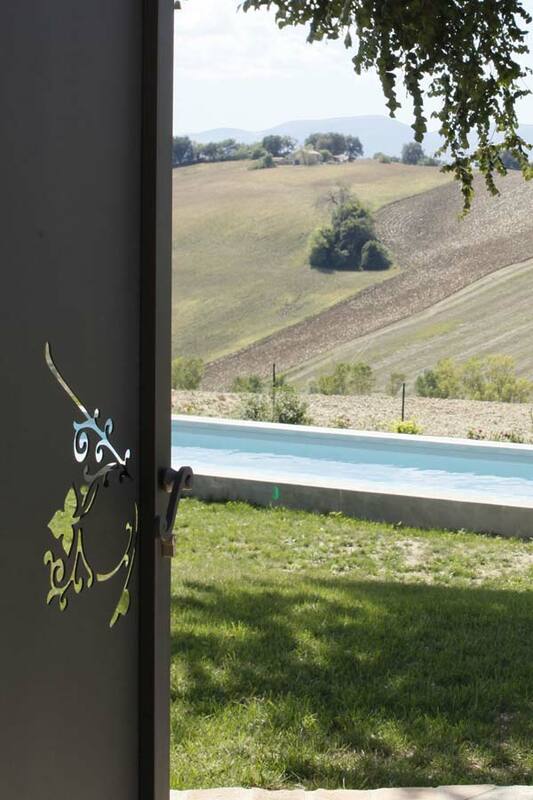 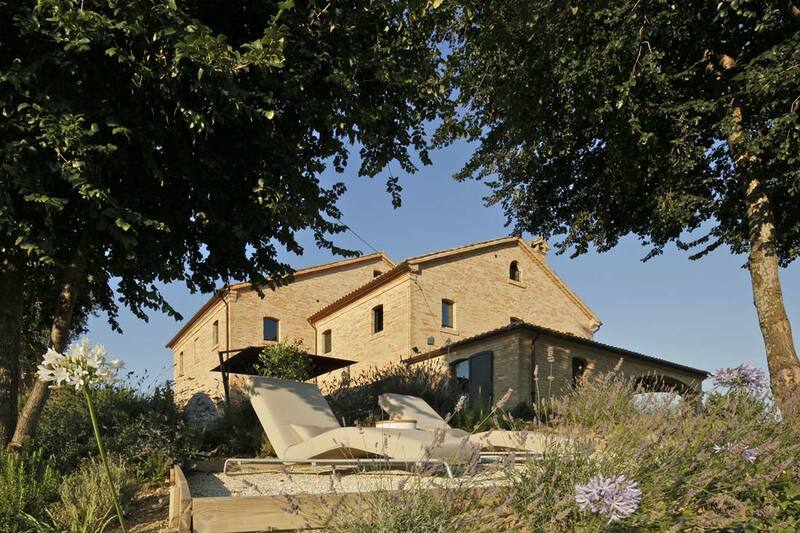 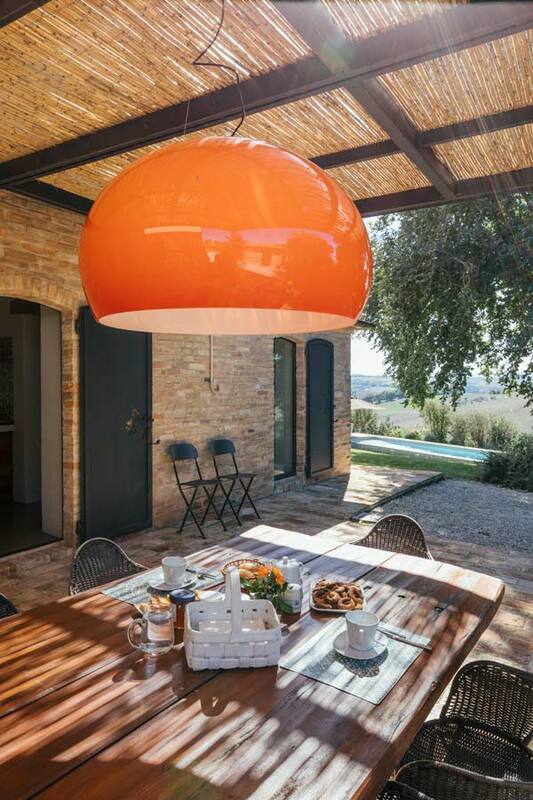 Positioned in the middle of the hills in the Marche, a breathtaking 360 ° panorama can be enjoyed from every corner of its large garden on the hill. 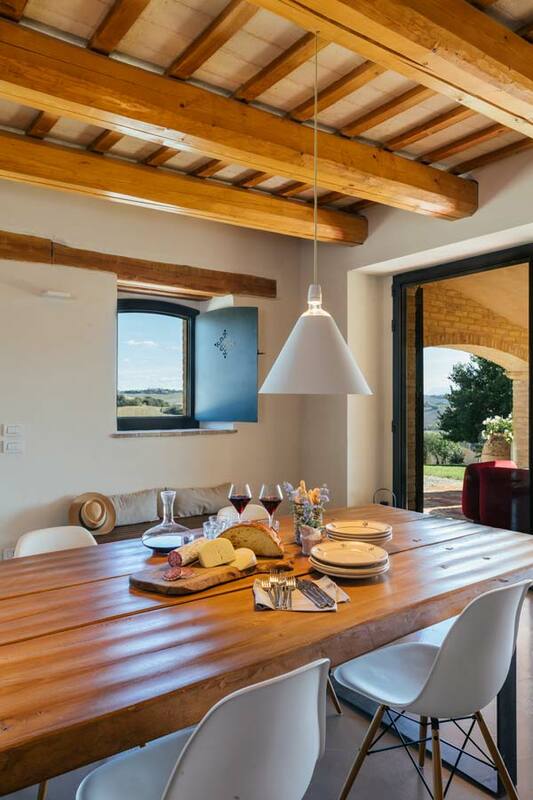 Villa Maria guarantees the best views over the countryside from every corner. 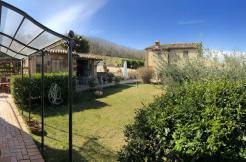 A lovely garden with nice terraces and old trees is the perfect place to enjoy these views. 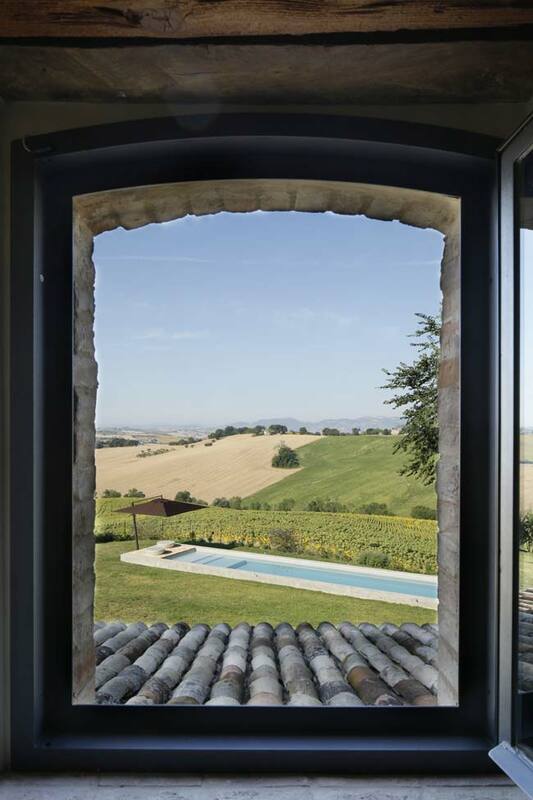 The large openings of the windows let the landscape perfectly blend into the architecture, creating a luminous inside space in which the “outside” becomes the “inside”. 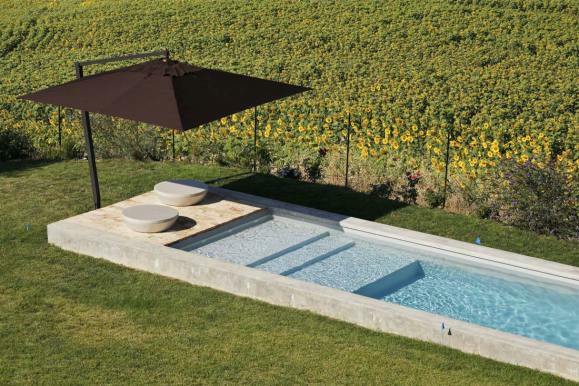 The colors of the outside, the browns of the land, the green of the garden, the yellow/orange of the sunflowers are all colors that you will also find inside. 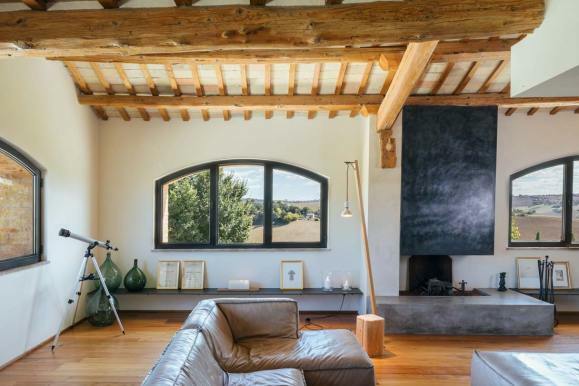 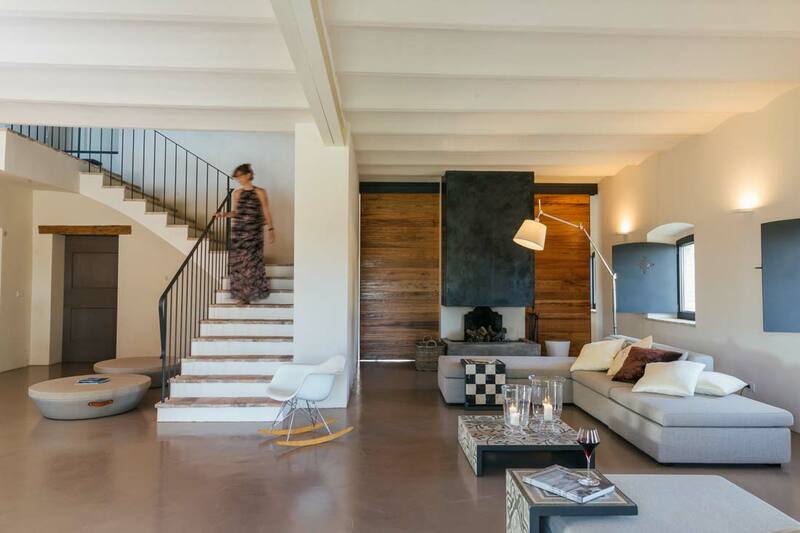 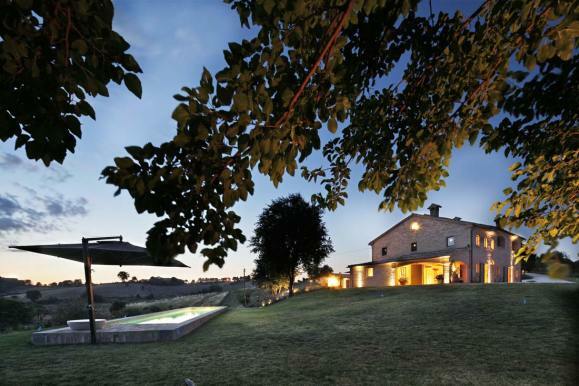 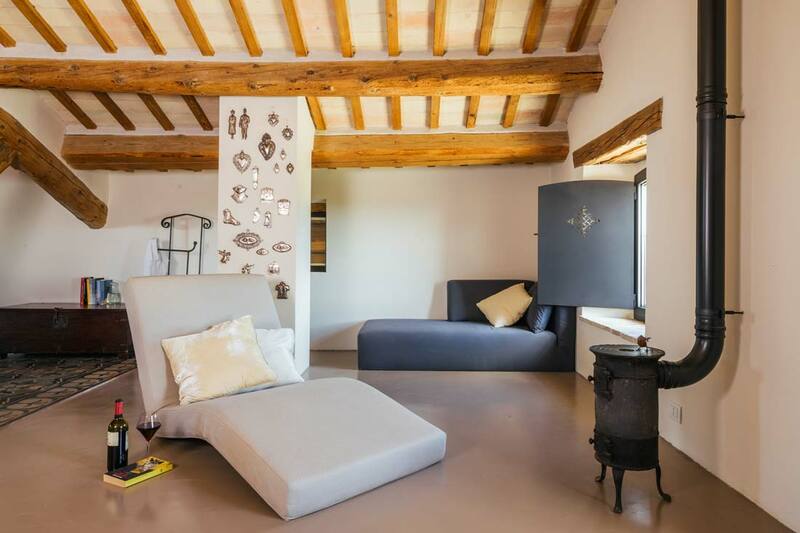 The villa has been renovated with traditional local and old materials. 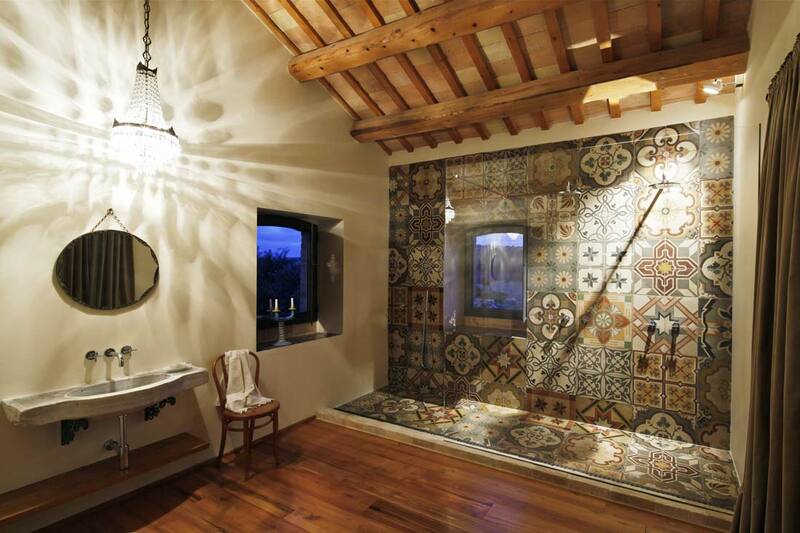 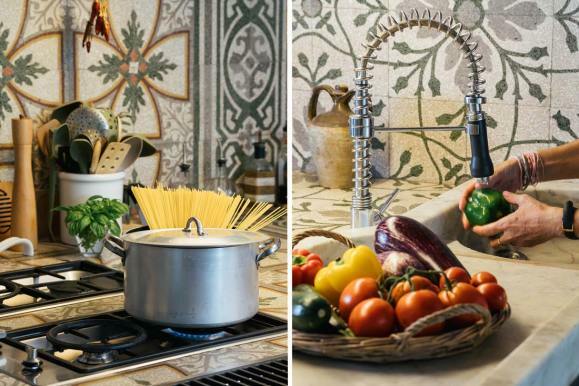 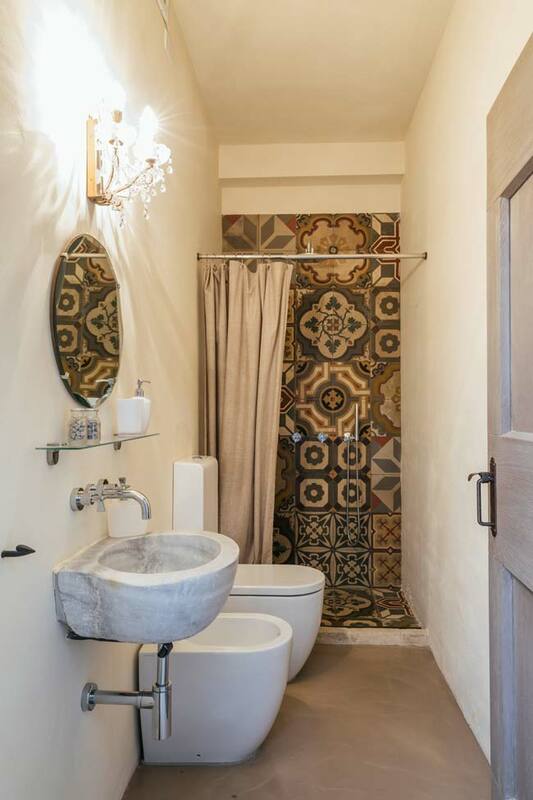 Ceramic tiles to create colorful “patchwork walls” in the bathrooms and kitchen, stone and marble sinks, terracotta tiles for the grand staircase, the terraces and the swimming pool. 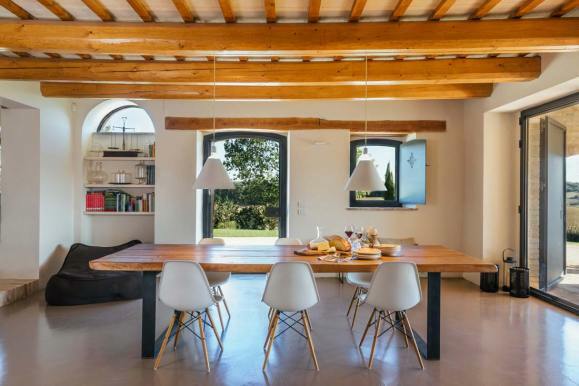 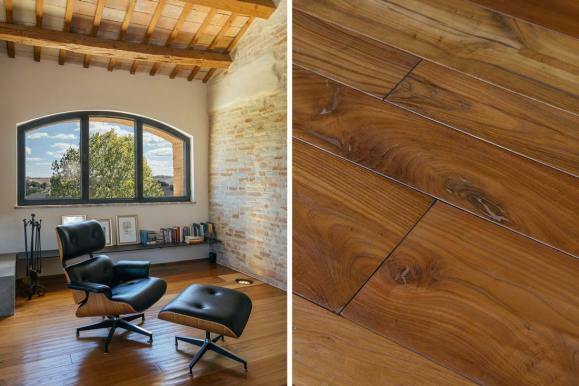 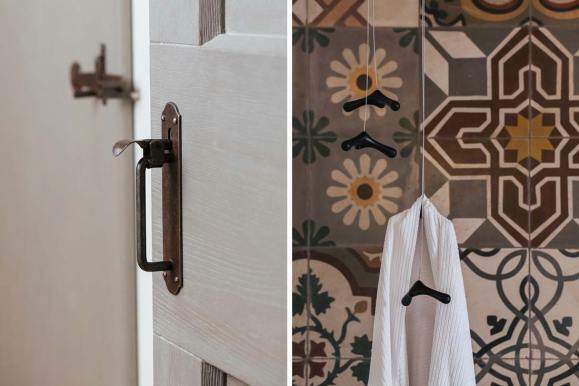 These elements are combined with floors made of large pieces of chestnut wood sanded by hand and coated with a cement resin especially created for this project. 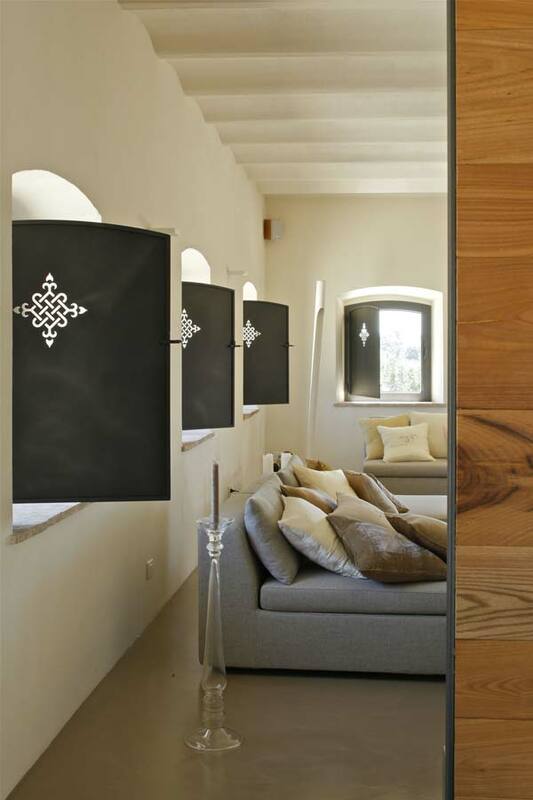 Iron shutters with laser cut patterns, the window frames, the entrance gate and the night lighting both inside and outside. 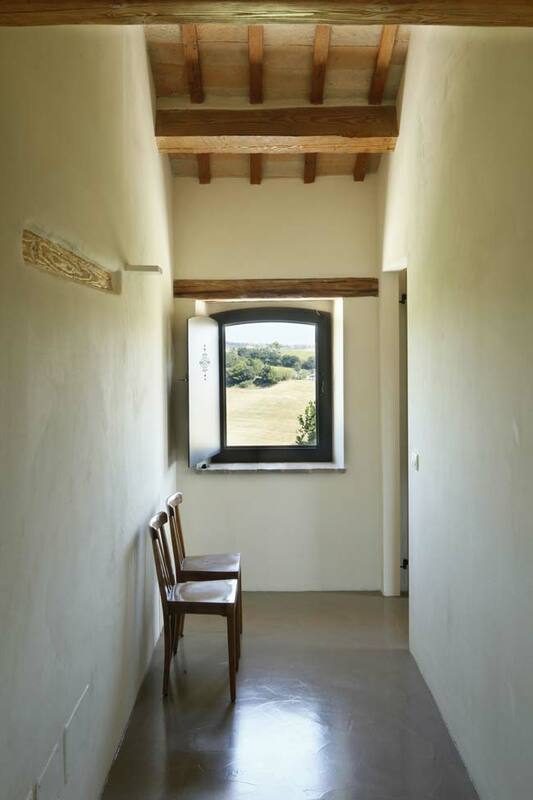 Even when night has fallen, the many scenarios and combinations of light see to highlight the “fullness”, the “emptiness” and the spaces of this architecture. 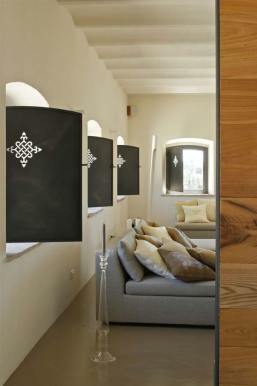 The design furniture and other elements turns this Villa into an exclusive and contemporary place. 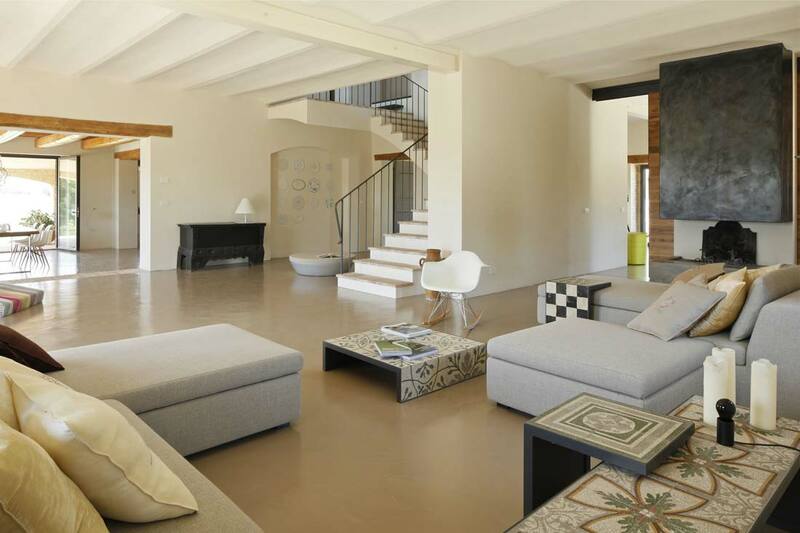 There are two very spacious loft style living areas; one living area is on the ground floor and one on the first floor. 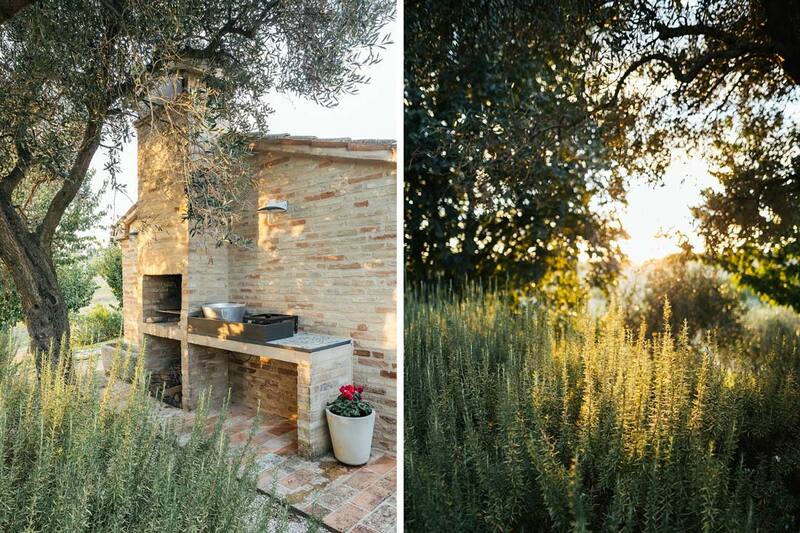 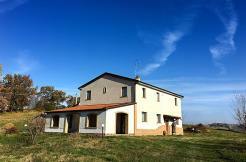 Both areas have a fireplace and both have wonderful views over the countryside. 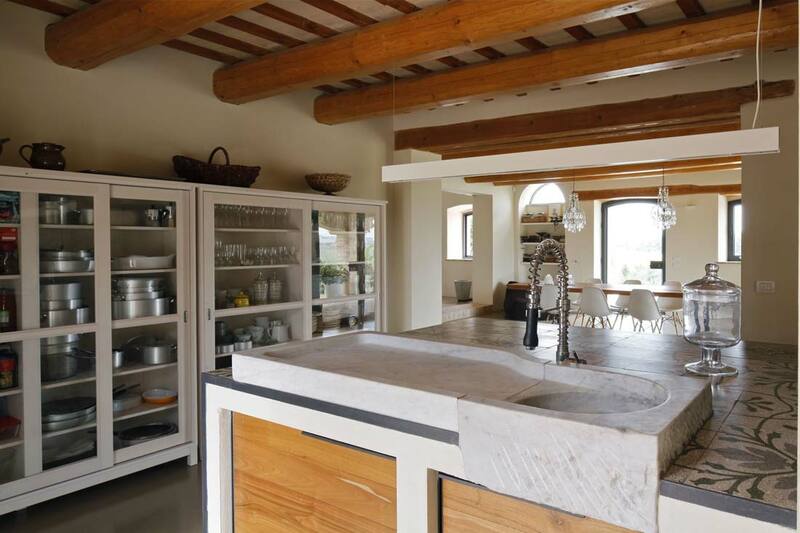 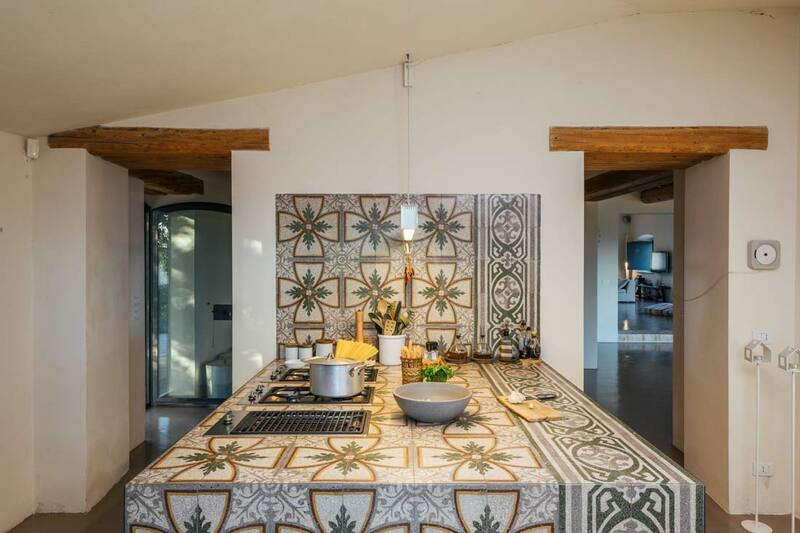 A very special kitchen with island, beautifully designed with old tiles and all modern appliences and access to the covered porch equipped for outdoor dining. 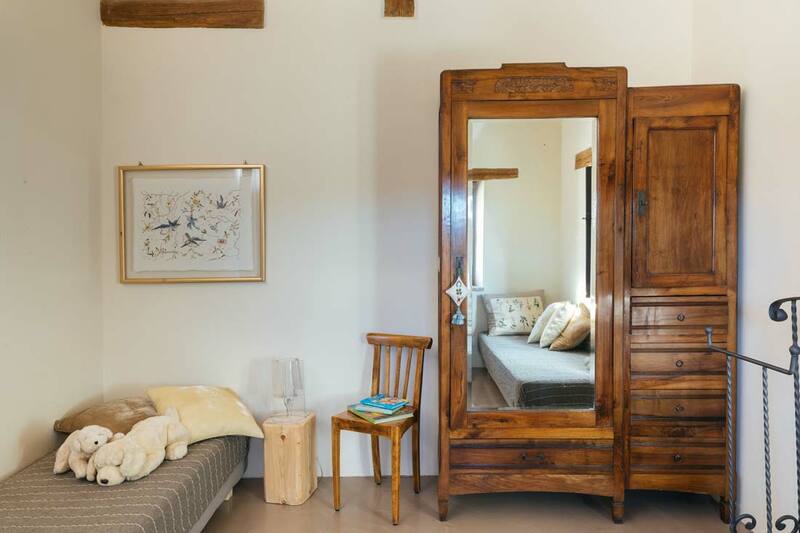 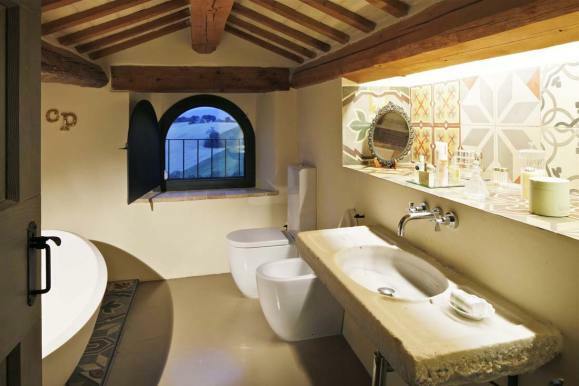 The Villa offers five bedrooms and five scenographic bathrooms. 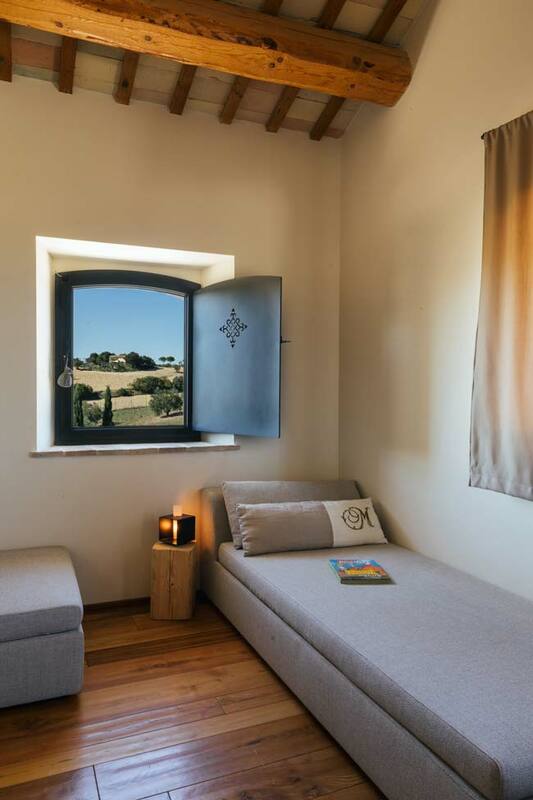 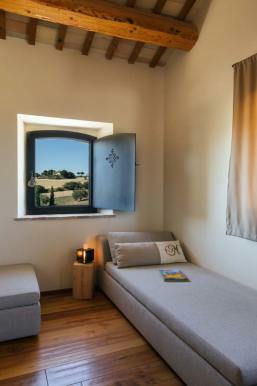 The second floor of the Villa is a Loft style bedroom under the roof with en-suite bathroom with bathtub. 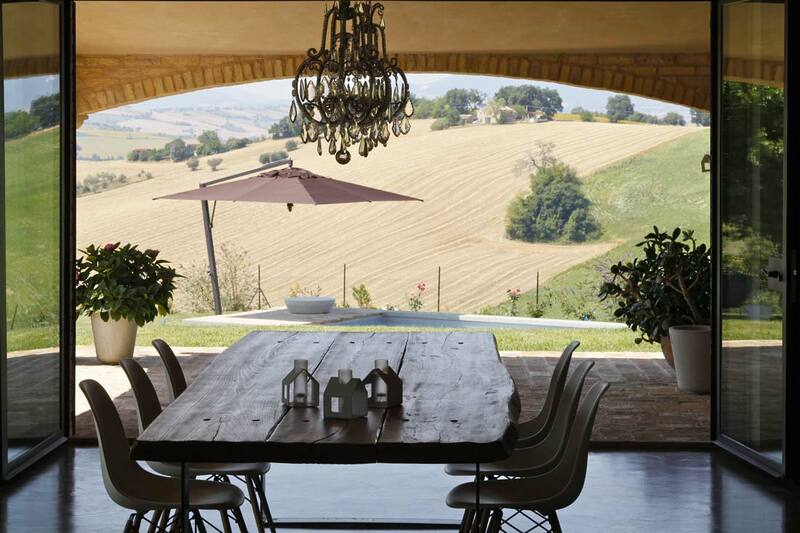 1.5 km away is the small village of San Biagio, which has a grocery bar and a restaurant. 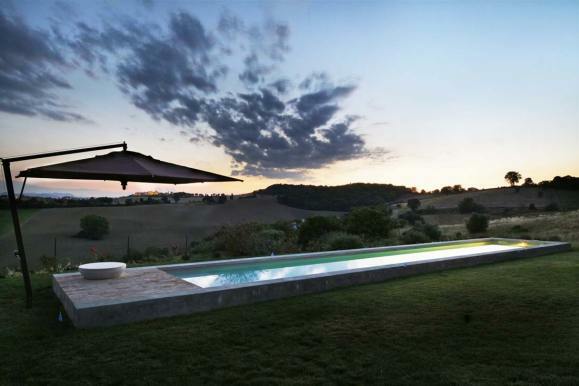 This can be also a nice walk. 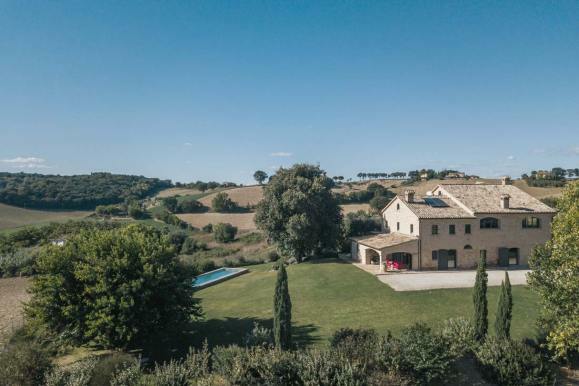 Filottrano is at 5 km distance. 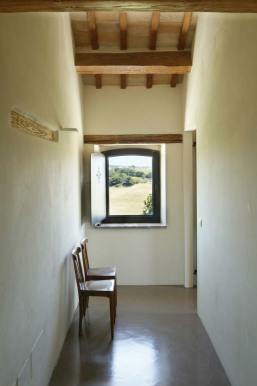 Beaches at Sirolo, Numana and Portonovo: 25 – 28 km (30 minutes). 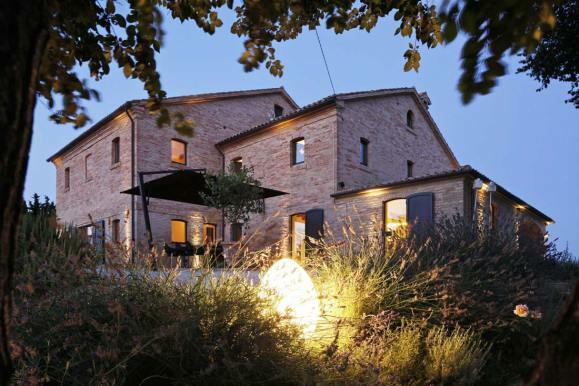 Historical towns like: Recanati (17 km), Loreto (25 km), Jesi (21 km), Osimo (13 km) and Macerata (24 km). 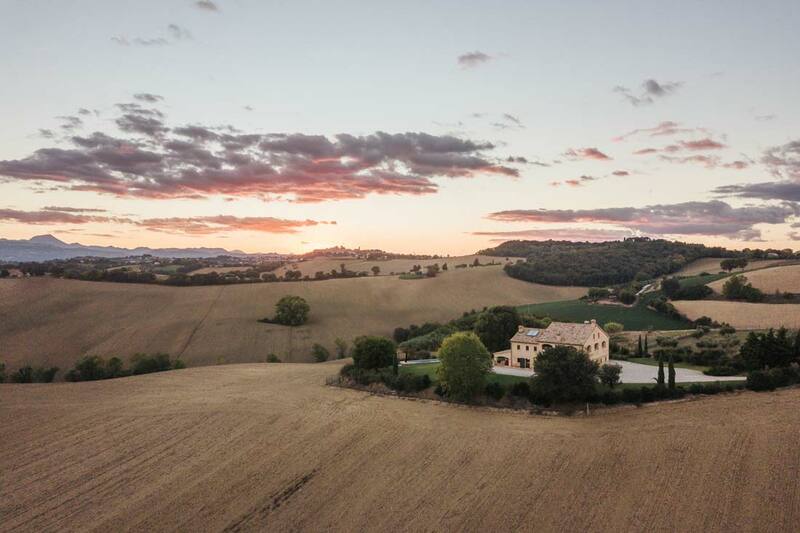 Bologna airport and Falconara airport are the most suitable airport with international flights. Ground floor: large living room with large window fronts to the garden and across the country, dining room with access to the arbor large kitchen with island and access to the covered porch equipped for outdoor dining; 1 double bedroom with ensuite bathroom with shower, studio, 1 small bathroom. 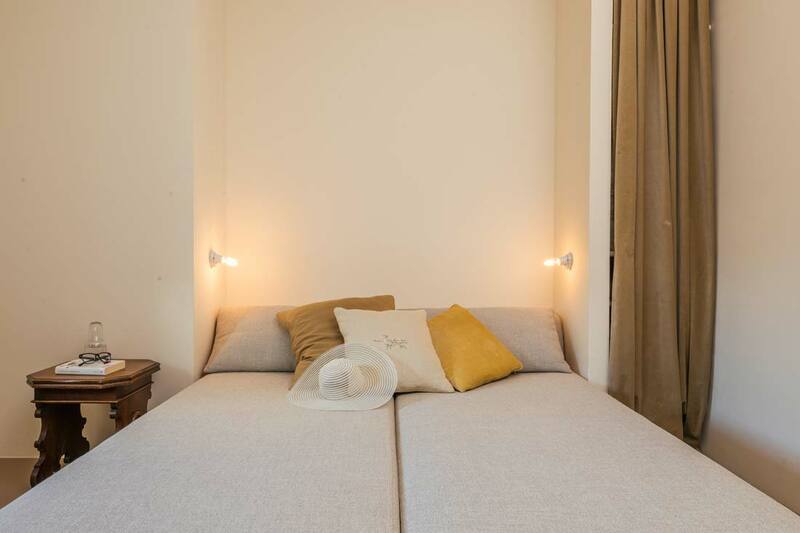 1st floor: large living room, 1 double bedroom with ensuite bathroom with beautiful double shower, 2 double bedrooms with shared bathroom with shower. 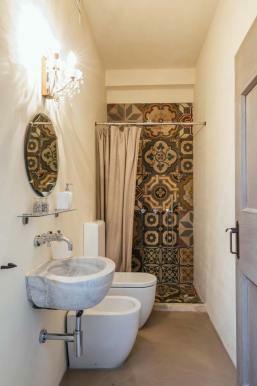 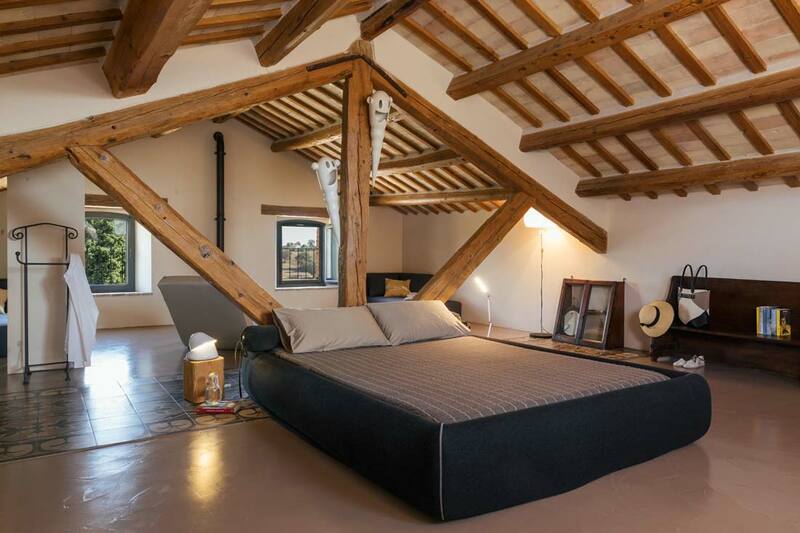 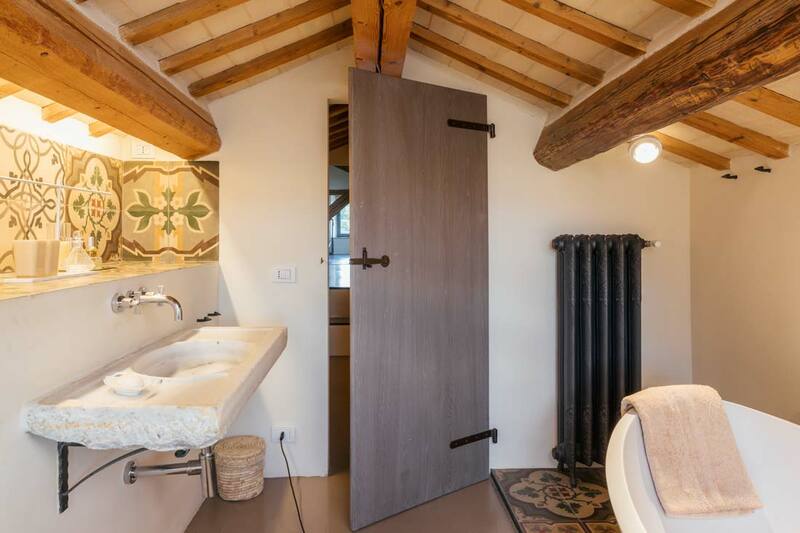 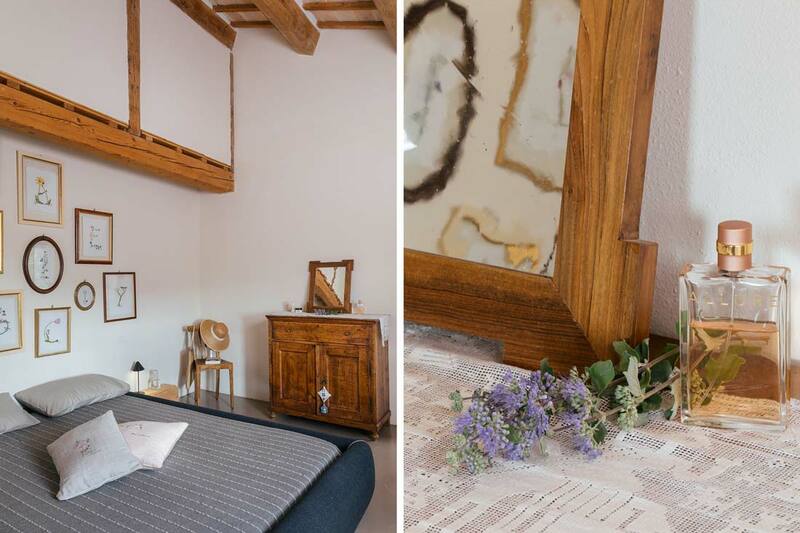 Attic: 1 spacious double room (50 sqm), 1 ensuite bathroom with bathtub by designer Matteo Thun for Rapsel.